Nearly three decades ago, Romanian dictator Nicolai Ceaușescu fell, along with his state-run orphanages. The streets were flooded with unwanted children, some who were privately adopted, others who made homes in the sewers and streets. Today, with some reintegrated into society, some still homeless, and some dead, Ceaușescu’ children have grown up. A three-year-old child, left at a Romanian orphanage by his sick grandparents, confined to a bed, unable to learn to walk, or speak well. Injected with shared, unsterilized needles, contracting Hepatitis B and C. For two years, Mina Iosif stayed in these conditions. “No one wanted to adopt me. Nobody wanted to take me when I was so sick,” Iosif explains today. He sits proudly in front of me, wearing an eclectic green t-shirt and jeans. His wide smile and warm brown eyes hide his history. “This is my story,” he tells me matter-of-factly. Now thirty-one years old, Iosif lives in a sparsely furnished apartment with his wife, Florentina, working long days in pharmaceutical sales and attending university. His scars remain: continual medical treatment for hepatitis, and a pronounced limp from years of underdevelopment. “I’m not negative now. But I’m very careful not to be overly optimistic,” Iosif tells me. Ceaușescu’s plan to increase the workforce by outlawing contraception and abortion, resulted in a sudden burst of unwanted pregnancies in times of poverty. Iosif is just one of up to 200,000 children uncovered in overflowing orphanages that were likened to prisons after reigning dictator Ceaușescu was executed in December 1989. When international media revealed the state of these orphanages, children were set free. Many ran, others, like Iosif were unable to. International support flowed in, including from AMURTEL Romania, who took Iosif to their new residential care facility, La Familia. 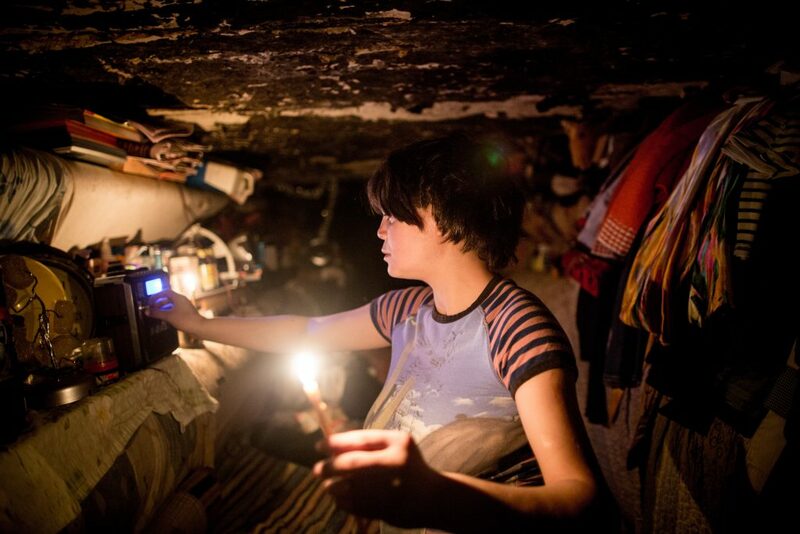 In the early 90s, street kids boomed as the children flocked to Bucharest, the only city with an underground rail system. Children would visit their family and friends back home, recruiting more children to the city. The average age was just seven-years-old. “After Ceausescu’s fall it was complete chaos, and we call this chaos freedom,” explains NGO Save the Children social worker Leonard Andreescu. Under Bucharests’s streets emerged Lord of the Flies-esque societies, organised systems with leaders. According to Andreescu, these systems were arranged “fantastically”. Of the original children living in the streets, Andreescu estimates only 300 remain, with most of these now being adults. But this doesn’t indicate an improvement in social services, said Andreescu. Today, there are no concrete figures on how many homeless there are in Romania. Homeless shelter Casa Ioana Director Ian Tilling says that only 1.7 percent of Romanian housing is allocated to the social services system, creating a huge shortage. The majority of homeless children today share the street with their families, who have made it their home for years. Some of these are second, or even third generation homeless. “The homeless are not a prime group to the government,” Tilling states, explaining that his waiting list for shelter has been increasing each year. Senior Lecturer for the University of Bucharest Department of Social Work Florin Lazar says that while social services have improved, they’re still not at the level experienced prior to communism before the 1960s. One of the affected is nineteen-year-old Natalia. On the stage of the American International School of Bucharest, Natalia shines in a one-day performance by NGO Parada Romania. Natalia executes circus tricks to crowds of delighted children, a smile stretching wide across her face. Her black dress twirls, her face highlighted by perfectly applied makeup. When the applause fades, Natalia returns home: a squat house shared by twelve families, including her, her mother, brother, ex-boyfriend, and her one-year-old child, Eriko. The squat is overcrowded, cold, run-down, and unfit for living. Now, she and the twelve families living in the squat face eviction to the streets by the city. This won’t be unfamiliar for Natalia: she’s been cordoned to the streets her whole life. While Natalia’s circumstances seem bleak, her life could have been worse. A beneficiary of the Parada Foundation, she has access to a day centre for street kids that offers basics, like showers, clean clothes, and support. 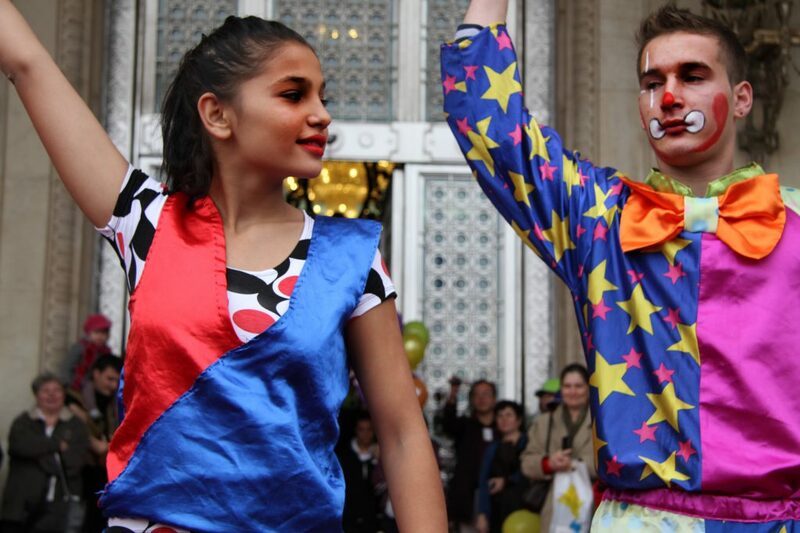 Additionally, Parada also teaches children circus skills, uniting them and encouraging hard work, discipline, and friendship. 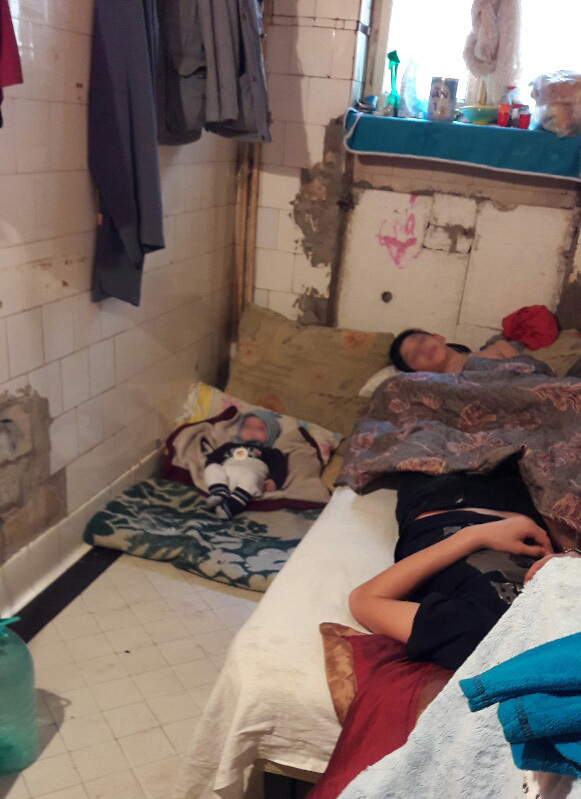 The living conditions at Natalia’s home. “As children, you can survive by begging and stealing. 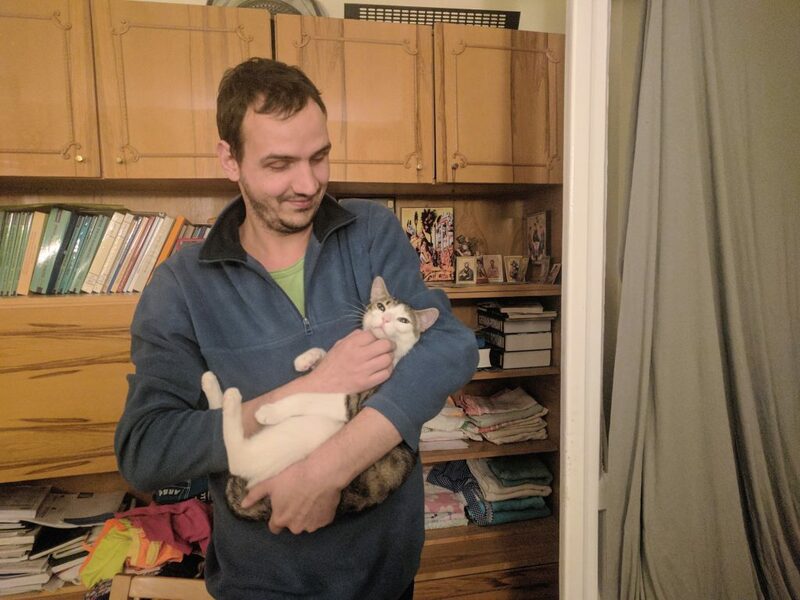 It works pretty well until a certain age because people will offer you money or food or clothes, but when you are 20 it is a bit more difficult,” says Jugureanu. Natalia has been attending for nine years. “I want to be a doctor,” Natalia says to me, but she is laughing at her own joke. Natalia has given up her dream of a better life for herself. Instead, she is concerned only for Eriko. While Natalia’s housing situation is worsening, she remains hopeful. “Something good will happen,” she says with confidence. While there were thousands like Mina Iosif discovered after Ceaușescu’s death, Iosif’s reintegration into society comes from the opportunity he was given to be raised in residential care at La Familia. For Natalia, raised on the streets, her association with the Parada Foundation gave her routine and something to commit to. But for many others, they fail, or are unable, to take advantage of such opportunities. These “irrecoverables” have no hope, according to social worker Andreescu. “It is very difficult and not very effective to work with permanent street children,” he said. All the children use drugs. Primarily inhalants, such as Aurolac, a type of paint that is inhaled through a bag. However, since 2007 intravenous drugs have become more common, particularly heroin which is very affordable, said Andreescu. “Their life expectancy after starting drugs is one year,” explained Andreescu. He sees three adult deaths from these addictions every month. “I see them dying in front of my eyes. Young, beautiful adults.” Andreescu has tears in his eyes. Andreescu says it’s impossible to help them while they are under the influence. But, it’s easy for them to give up. Parada Foundation Director Ionut Jugureanu has seen many children come through the foundation. Scrolling through pictures on his computer, he tells me about each one. On one, he pauses. Even without the drug problems, life on the street is difficult. With emotional and physical development often delayed, the children, now adults, have aggression and emotion that they are unable to express, resulting in self-harm. “They don’t know how to solve problems, they don’t know how to communicate, they only know how to get things by force,” said Andreescu. Andreescu has seen horror stories of how these children deal with problems. Andreescu tells me about these occasions with a weary face. He’s been working the streets of Bucharest for 22 years. He knows each of the estimated 300 still living on the streets of the city that have no family ties. It’s a time-consuming activity. The current democratic government takes little responsibility for the shortcomings of the prior communist government. Many of the people who suffered, and continue to suffer, like Iosif, receive no compensation or support. The cycle of homelessness continues to repeat, such as in the case of Natalia and her child Eriko. Instead, support for these children and adults primarily comes from the work of NGOs relying on private donations. When asked about government funding, President of AMURTEL Romania Didi Deshaies just laughs. “That will be short!” she says. While limited government support is available, the money often runs out before they reach the organisations approved for funding, explains Deshaies. After Romania’s acceptance to the European Union in 2007, the international sponsor base dwindled further. However, to receive EU funding the NGO’s must provide a social security number for each beneficiary, impossible in Romania as the majority are unregistered, and face a lot of red tape to receive ID’s. 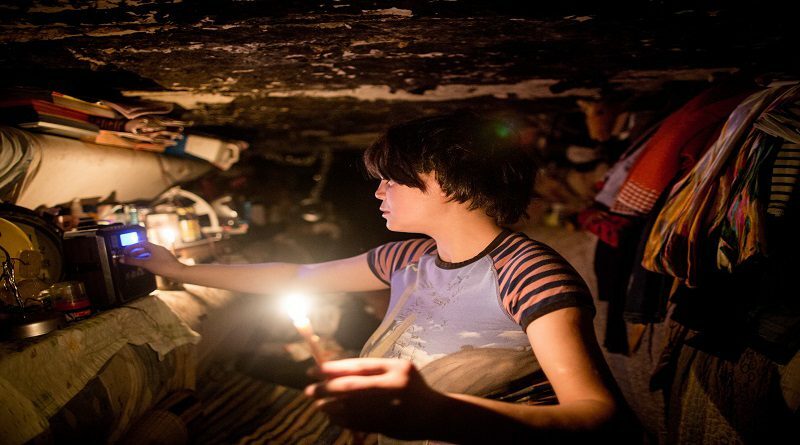 The current Romanian government aims for no more children living in the streets by 2020. According to Florin Lazar, this is an achievable goal – if the funding is available. “We are very good at having strategies, but if you don’t have the money to implement it, it won’t happen,” he said. The new Romania, preoccupied by its fresh EU membership, appears to only be looking toward a brighter and better future, ignoring those suffering from its communist past. Iosif is one of the luckier ones. The intervention of NGO’s allows some of Romania’s orphan generation to live relatively normal lives. However, life is still difficult. He is eligible for a very small pension of between just 10 and 20 Euros every month. However, Iosif remains positive. He is studying to become a social worker, in hope that he can use his own experiences to help others. And, he looks forward to having children with his wife, Florentina.